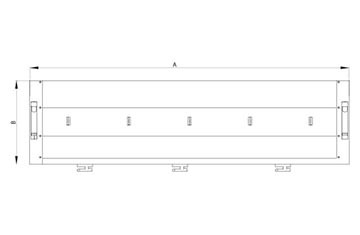 Stainless steel AISI 304 is the kind of stainless steel used for all our Stainless Steel Hinges with electro polishing, brushing and shot-peening, which improve weatherability as well as the appearance of the products. 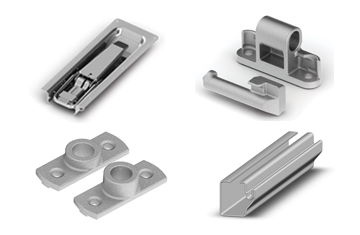 Stainless steel AISI 304 is the kind of stainless steel used for all our Stainless Steel External Door Lock Sets and Recessed Door Lock Sets with electro polishing, brushing and shot-peening, which improve weatherability as well as the appearance of the products. 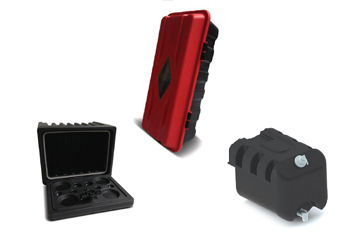 Individual spare parts are also available. PVC formulations are granulated and blended according to standardized production procedures. 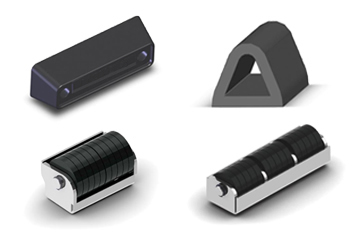 Physical, chemical and thermic characteristics as well as color fastness of PVC Profiles and Rubber Sealing Profiles are measured to assure that the product is within acceptable tolerances. 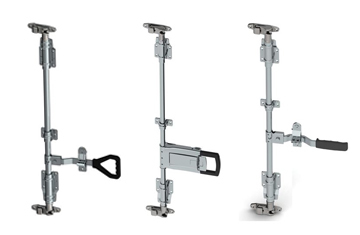 We provide all relevant trailer and box body accessories with our large product range also strong, high quality and certificated mechanical parts are available for semi-trailers as; landing legs, king pins, spare wheel carriages, container twist locks which comply necessary regulations with high quality finishing. Quality and functional Plastic Tool Boxes, Water Tanks, Fire Extinguisher Boxes and certified Wheel Chocks, all produced with original raw materials. 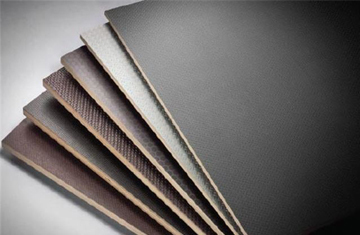 Plywood Panels with or without coated with dark brown phenolic resin coating with slip resistant pattern. The product is intended for use as flooring in the transport industry as trailers, horse boxes, railway wagons and building applications such as warehouse floors, loading platforms which is a universal material for technical flooring applications. 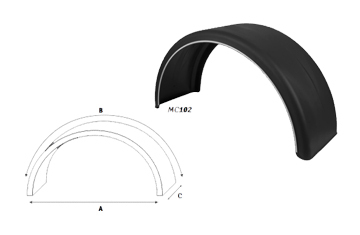 Mudguards, Mud-flaps and assembling elements for the automotive field, assigned to industrial, light vehicles and also telescopic, agricultural and particular vehicles. 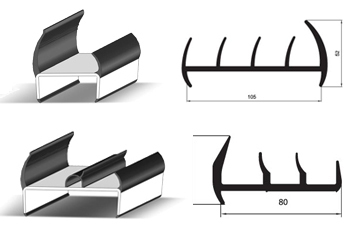 Mudguards, Mud flaps and accessories for industrial vehicles guarantee excellent performance in terms of quality, functionality, reliability, strength and security. Customized Aluminum Rear Door Sets for commercial vehicles to meet your all specifications. Comply all market expectations with frame and hinge in aluminum are perfectly aligned with the door in order to utilize the inner room of the vehicle. 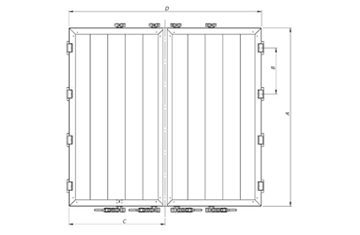 We provide our door sets assembled or demounted with assembly kit, inside strong wooden frame packing in order to avoid any damage during transport. Customized Aluminum Side Board Sets for commercial vehicles to meet your all specifications. 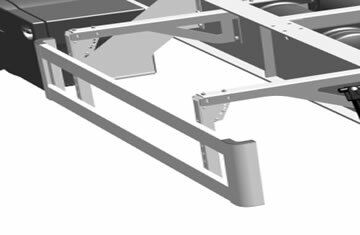 Comply all market expectations with frame and hinge in aluminum are perfectly aligned with the side and corner pillars in order to utilize the inner room of the vehicle. We provide our side board sets assembled or demounted with assembly kit, inside strong wooden frame packing in order to avoid any damage during transport. 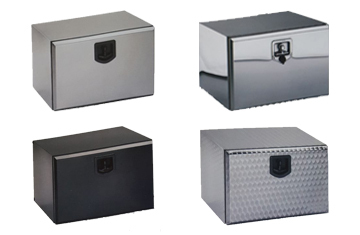 Geranium Series™ Stainless Steel Toolboxes for industrial vehicles in polished Stainless Steel AISI 304/X5CrNi18-10/1.4301-2R is 1.2 - 1.5 mm thick with polished stainless steel adjustable lock and stainless hinges. Produced with laser cutting and the LASER and/or qualified TIG welding. It is dust and water resistant. Customized dimensions are available for different customer requests. Our Lateral Protection Kits can be used immediately, without worrying about red tape, fees, additional tests and time-wasting. You can combine our system in any way you prefer subject to the fitting instructions. Single and double pedestrian guard kits to suit, available from stock. 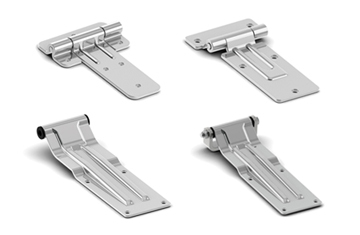 Hinged Sideguard Legs, Aluminum profiles, connection fittings, single and double pedestrian end plastic caps and/or aluminum round profiles and plastic end caps are also available individually.